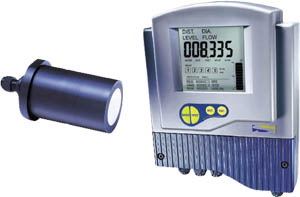 SmartLite is a non contact, ultrasonic, continuous level measurement instrument that is able to provide accurate measurements for liquids while automatically compensating for changes in temperature and other environmental conditions. SmartLite is designed for applications such as process tanks, storage vessels, open air piles, and more. SmartLite is a four wire, low voltage device, and is available with a customized graphic LCD display. SmartLite has two major components, the main control unit and the sensor. Installation in process tanks, storage vessels, open air piles and more.